Kate Brighton, professional actress, director and playwright has come out of retirement to bring to The Harbison Theatre, a production filled with Irish music, internationally ranked Irish dancers and masterful storytelling with: “Catherine & Katharine; Sisters Wee Bit Irish” one night only, Thursday, March 7th. Kate Brighton storyteller on Ball Mason Jars (An instrument she invented), with her true sister Cathy Francetti on fiddle, join with actress/dancers Grace Condon and Carolina Murray to weave this theatrical production with tales of growing up in Ballymore Eustace, Ireland in the 1950’s and 60’s when threats of entering the nunnery collided with the Beatles. A fast paced theatrical night of music, dance, laughter and masterfully dramatic story telling. 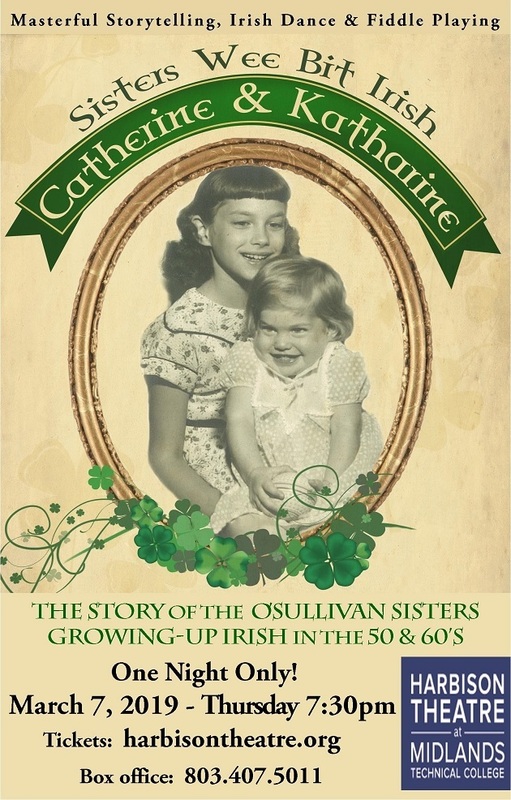 “Catherine & Katharine; Sisters Wee Bit Irish”; explores growing up in a large Catholic family in a small Irish village around the time of the first Beatles concert in Dublin, November 7, 1963. Life changes as the lovely motorcycle boy, Hugh Darcy motors into Catherine’s life. The cast is filled out with two Irish step dancers representing the younger O’Sullivan sisters. Umatilla Indian Reservation, Pendleton Oregon and Portsmouth, England. 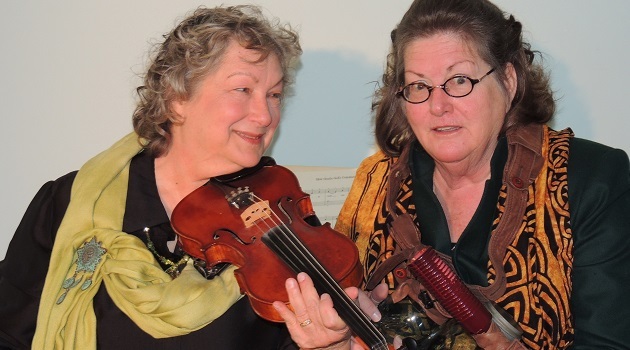 She has been a narrator with both the Oregon Inland Orchestra and the Portsmouth New Music Orchestra, and a comedian on “Roller Skates!” at Universal Studios in Orlando. Her acting credits include national commercials, TV specials and playing a British Biblical Archeologist. Carolina Murray a competitive Irish dancer, age 12 is a straight A student at Lexington District 2 middle school. 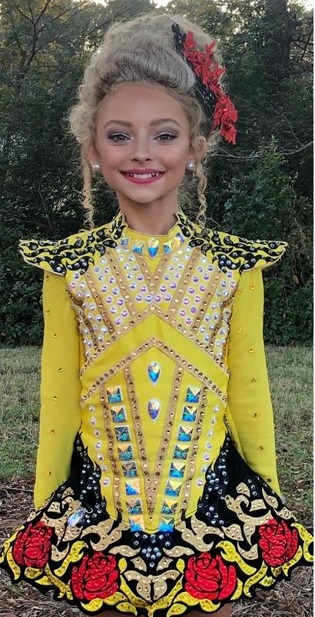 Carolina recently placed 4 th in southern regional’s and qualified to attend the International Championships of Irish dance in 2019. She plays Kate’s younger self. At twelve Grace Condon started Irish dance with Pamela Pierce and Sandra Connick at Connick School of Irish Dance in Charlotte, NC and at a satellite location in Lexington. 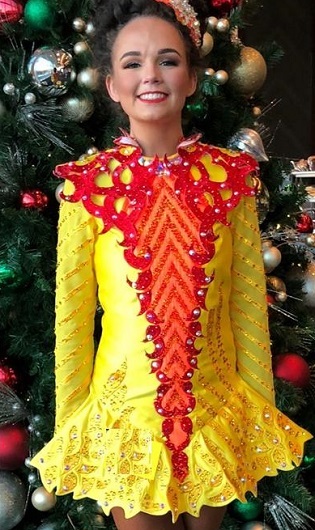 Grace, now a freshman at USC is an outstanding competitive dancer who has traveled to Ireland, Scotland, England and even Mexico to compete internationally! This past year she placed second in the region, 13th in the nation, and 51st in the world. Grace has qualified for the World Championships 3 times this past year alone! She has placed 20th at the British International competition, and 28th at the Irish International competition! Grace will play the younger Catherine O’Sullivan. The show runs one night only, Thursday, March 7th at 7:30pm, at The Harbison Theatre, at Midlands Technical College at 7300 College St. Irmo, 29063. Tickets are $22 with senior and military discounts at $20. Tickets can be purchased online here: harbisontheare.org or at the box office. This show is recommended for those 14 an above. For more ticket information call 803-407-5011.